My earliest dreams were lucid ones of flying. I have a particularly vivid memory of soaring above my father’s tobacco fields where I used to hunt for arrowheads as a boy. There was a technique to flying in my dreams—akin to the way a condor rides thermal currents to corkscrew higher or lower. The feeling was one of exhilaration almost beyond description … like walking into the light upon dying, or emerging into it at birth. I can still visualize the red clay of the tobacco fields falling away beneath me as I ascended—until they resembled not so much the fertile Cherokee relic hunting grounds of my leisure, but rather irregular red pepper flakes fallen at random on a green tablecloth. 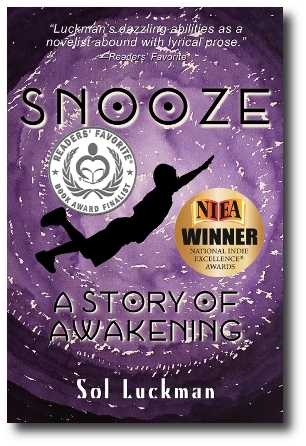 Perhaps it’s not surprising I should return to the theme of lucid dreams of flying in my new novel, SNOOZE: A STORY OF AWAKENING. After all, such dreams persisted well beyond my childhood and occur even today. Not infrequently, my lovely partner, Leigh, ever patient with my foibles, is awoken in the dead of night by my odd habit of putting an arm above my head in sleep—as if I’m slicing through the air. Fortunately, over time she has cultivated the ability to ignore this eccentricity. 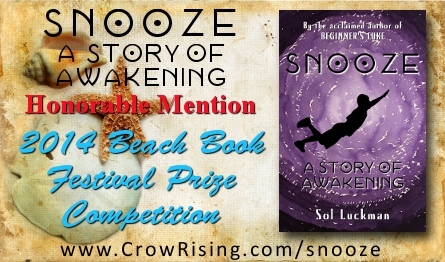 Fittingly, the idea for SNOOZE came to me one morning as I lay in bed attempting to shake off a dream of flying. “You think so?” I managed to ask, removing my mask, through a yawn. This seemingly casual exchange mysteriously opened up the floodgates of my creative consciousness—and soon I had composed the first chapter of the novel that would come to be called SNOOZE. I had in mind to write something indeed like a superhero story—but a believable one, a far cry from the standard stretched affairs currently gracing so many silver screens. I also had a notion to write a book about how real magic, as opposed to a load of hocus pocus involving wizards and wands, might function in—and ultimately change—the real world. By “real magic,” I mean just that. Specifically, I’m referring to the longstanding tradition of seemingly miraculous abilities called siddhis in Vedic lore—which are understood not as superhuman capacities so much as inherent to, if submerged in, human nature. Siddhis come in a number of varieties, but common ones, witnessed by thousands of people over the ages, include telekinesis (moving objects with the mind), telepathy (ESP), and levitation or flying. Historically documented in numerous individuals, from Indian gurus to the Catholic priest, Padre Pio, such powers are said to emerge organically from within the human being, often in connection with pineal gland activation and lucid dreaming. The idea of siddhis had fascinated me ever since I first learned of them in college. It was mind-blowing that one of the oldest systems of personal development on the planet—the Vedic tradition of India—insisted, in essence, that everyone inherits the capability of becoming a superhero! Begging the question … What would it actually be like to experience the sprouting and flowering of these inborn occult powers in oneself? This question guided me during the character development of my protagonist, Max Diver, a boy “gifted” with just such abilities that immediately begin to reveal themselves only to grow more intense as the novel progresses. In exploring this esoteric theme, rather than just shooting from the hip with wild-eyed speculation, I drew on a wealth of established knowledge, often of a scientific bent. Subtitled “A Doctor’s Revolutionary Research into the Biology of Near-death & Mystical Experiences,” Rick Strassman’s seminal DMT: THE SPIRIT MOLECULE served as a starting place for theorizing the role played by the pineal gland in the development of human potential. Dewey Larson’s Reciprocal System of physical theory (shortened to “Reciprocal Theory”), elaborated in such classics as THE UNIVERSE OF MOTION and BEYOND SPACE & TIME, became the touchstone for SNOOZE’s physics of parallel universes. The notion of mirroring realities in a unified field, further developed and applied by David Wilcock in THE SOURCE FIELD INVESTIGATIONS and by yours truly in POTENTIATE YOUR DNA, was already near and dear to my heart. In SNOOZE I had the highly satisfying opportunity to “try on” how the mystical realm of time-space might be literally experienced from the perspective of the everyday world of space-time … for someone capable of making, and surviving, the journey. Finally, we come to SNOOZE’s treatment of Bigfoot, or Sasquatch. From the time I saw CREATURE FROM BLACK LAKE and THE LEGEND OF BOGGY CREEK as a kid, I was simultaneously terrified and hooked by the thought that a giant, hairy apeman might somehow inhabit the fringes of consensus reality. As an adolescent circa 1980, long before the current FINDING BIGFOOT craze, I went so far as to go on “squatching” expeditions in search of the creature in the woods of Appalachia—to the general amusement, and mild derision, of my family and friends. I never encountered Bigfoot, never saw so much as a smudgy footprint of questionable provenance, but to paraphrase Journey’s Steve Perry, I never stopped believing. 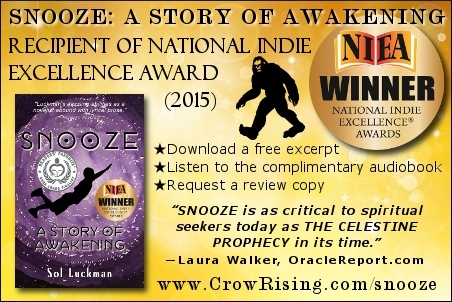 Lloyd Pye, author of INTERVENTION THEORY ESSENTIALS and a major inspiration behind the theory of cryptids, or mysterious creatures, outlined in SNOOZE, never stopped believing either. Pye’s research in genetics, Bigfoot and human origins directly challenges mainstream scientific orthodoxy and dogma. Pointing out that slow-moving, dimwitted, diurnal pandas were once thought by “scientific” Westerners to be merely creatures of legend, he logically asked why couldn’t fast, intelligent, nocturnal Sasquatches exist? “Some explained their elusiveness by pointing out that less than forty percent of the earth’s surface was fit for human habitation,” we read in SNOOZE. “That left fully sixty percent of the planet—much of which was poorly surveyed even if it had managed to be explored—as a potential habitat far from human eyes for any number of cryptids, including Sasquatch. Call it poetic timing or subliminal programming—but I finished the first half of SNOOZE while sojourning in Humboldt County, California, close to Bluff Creek, where the famous Patterson-Gimlin film purporting to capture a female Sasquatch strolling through the woods was shot. In my treatment of the Bigfoot phenomenon, be it reality or legend, “Patty” became fictionalized as “Zana,” a nod to the renowned Russian hominoid. Pye wrote in great and convincing detail about Zana, an apewoman who for decades was a member of a remote village, where she worked as a laborer and bore simian-looking progeny to human fathers. In closing, I wish to assure Pye—who recently passed away from space-time and is perhaps awakening in time-space even as I write—that, at least in the pages of SNOOZE, Zana lives! 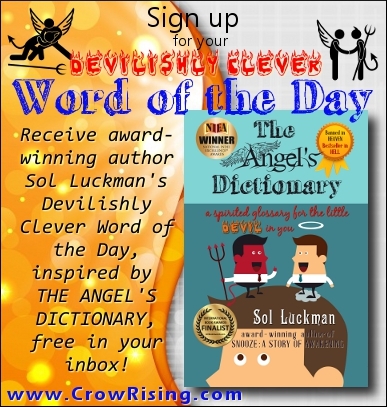 Thanks for linking to my blog, poor as it is. I am very new at this and not computer literate. I mostly use a computer as a typewriter with bells and whistles. Many of which I can’t hear. I’m curious about your take on pats-life regression. I can’t remember the name of the book or author but there was an account that fascinated me, supposedly written by a classically trained shrink with conventional-world credentials. He said he stumbled into past life regression while trying to get at the root of various emotional and mental issues for his patients. That’s the first thing. Second, I am amazed at the serendipity of your linking to my log–and having comments about the Russian female almasty that was impregnated by the men of the village where she was captured. I mentioned that very incident in my recent Sasquatch novel:SKOOK . Third, your lucid dreaming remarks strike a chord. The older I get the more lucid some of my dream cycles, to the point where it is difficult to return to this plane; I emerge exhausted from those trips down the rabbit hole as if I had no sleep at all.Only of late have I dragged myself straight to the keyboard and tried to free-write my adventures–the hardest part is not editing as I go, where things that made perfect sense in the dream state are clearly illogical here. 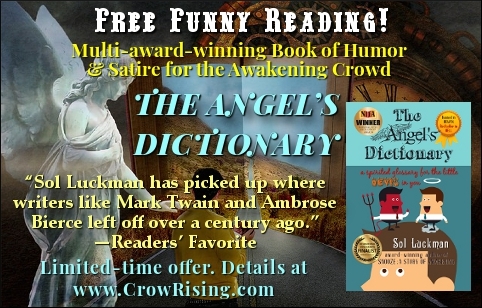 Wasn’t there a famous outlaw in California who was incarcerated in solitary confinement, often in a strait jacket, to try to break him–whereupon he closed his eyes and…went away? He said he traveled far and wide, and persons in this world recounted having met and talked to him while he lay locked and hogtied in prison. Do you know this story? In any event, thanks for an interesting and thought provoking read–prompts me to reach over to my bookshelf and dig out Jung again–haven’t read him in years. Thanks so much for the warm and generous connection, Bill! Great to encounter a fellow lucid dreamer. How serendipitous to have both referenced Zana in two 2014 books about Bigfoot! 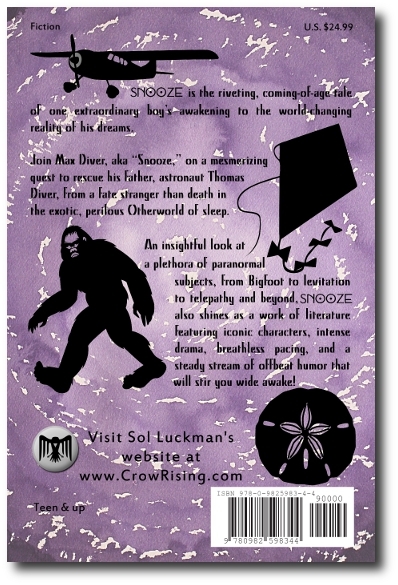 I don’t know that much about past-life regression (compared to lucid dreaming), truth be known, and I’ll have to look into the story of the astral-traveling outlaw … Thanks for the tip–and happy squatching!